Kate's ex-boyfriend Stuart discovers a means of travelling through time and accidentally brings Leopold, the 19th century Duke of Albany, back to the 21st century with him. Kate refuses to believe Stuart's story at first but begins to fall for Leopold. 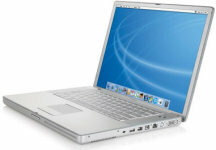 Kate's boss uses a Powerbook G4 in the office.